Domaine Chiroulet is located in one of the most beautiful areas of the Côtes de Gascogne about 8 kilometers north of Condom. The landscape covers the gently rolling hills with a patchwork of colors. It has been referred to as the Tuscany of southwest France. 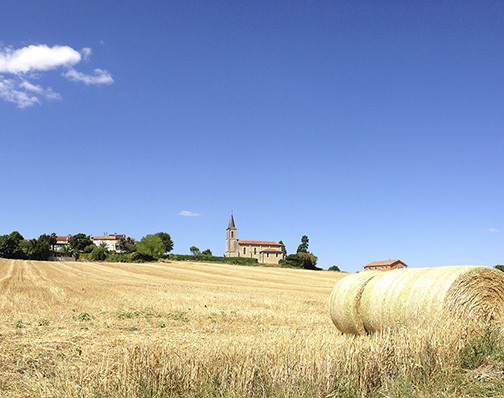 Situated on the highest slopes in Gascony (180 meters altitude), Chiroulet owes its name to the local patois word chiroula meaning wind that whistles. The family farms 45 hectares (110 acres) of vines aged between 10- and 40-years-old. Most of the vines face due south and with some moisture problems dried by the chiroula. The history of Domaine Chiroulet dates back six generations, since before the outbreak of the phylloxera in 1893. At the beginning of the 20th century and until the early 1930s, Alban Sourbès owned the estate. It was then taken over in 1935 by his niece, Suzanne Capmartin, and her husband, Albert Fezas. Plans to extend the vineyard were hindered during the Second World War when hardships prevented Suzanne and Albert from expanding. In 1969, Michel Fezas and his wife Arlette restructured and enlarged the property. 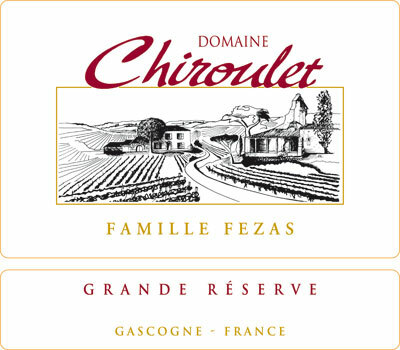 Chiroulet, like many of the farms in the area, was polycultural and, in addition to vines (whose wine was either sold to the cooperative or distilled), drew revenue from sunflowers, corn and other crops. 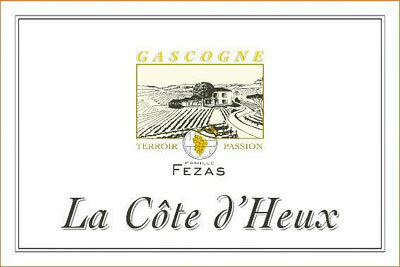 When the market for Floc de Gascogne began developing, Fezas muted some of his grape must with Armagnac. Pleased with his results, he began selling some from the domaine in bottle. Son Philippe Fezas began seriously working at the property in 1993 while continuing his work at the Seguin Moreau cooperage in Cognac. 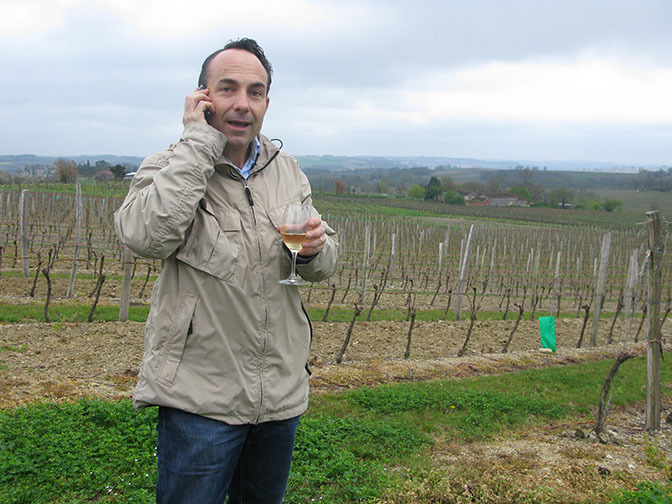 Trained as an agricultural engineer and oenologist, Philippe met with top winemakers around France and consulted with some of Seguin Moreau's top clients in Bordeaux. Tasting with the maître de chai at scores of luminary chateaux, Philippe's dreams about his own wine grew commensurately with his experience. 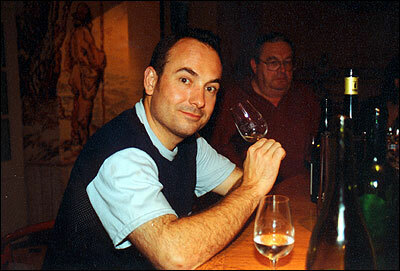 He soon became convinced that Chiroulet could one day produce great wines. Along with his father, he began studying each parcel of vines to determine which soils would be used for each wine. A good deal of the property is comprised of fine clay, not unlike the soil in Saint-Émilion. Like in that famous appellation, Merlot is the preferred grape for Chiroulet's red wines, which helps give them fresh fruit flavors. Complementary grapes include Cabernet Sauvignon, Cabernet Franc and Tannat, which provides freshness and structure. Côtes de Gascogne Rouge once meant tannic, one-dimensional wine that was mainly employed to wash down the rich local cuisine. Not so anymore. These red wines have more in common with moderately-priced Bordeaux than with the majority of its Gascon neighbors. The parcels for white wine are mostly clay and limestone, although certain slopes contain chalky outcrops called retzine, which help intensify the white wine's floral and mineral profile. 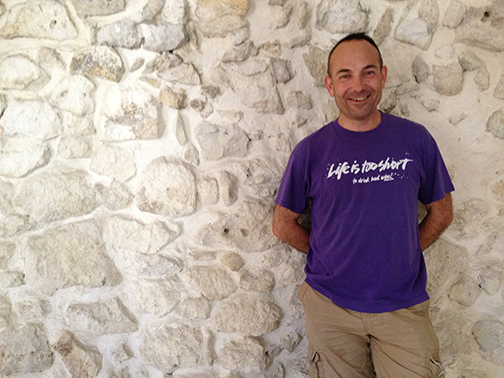 Having a background at Seguin-Moreau, Philippe has always experimented with various oak barrels and foudre at the domaine. This complexity of oaks (usually French but sometimes American or Russian) along with the variety of grapes and soils provides for complex wines. As Philippe states: "A great wine is like a piece of music, the more notes there are, the more beautiful the symphony." At the beginning of the millennium, they acquired a neighboring property called Brichet which has enabled them to release a large range of wines without having to purchase grapes. Indeed, production has risen over the years. 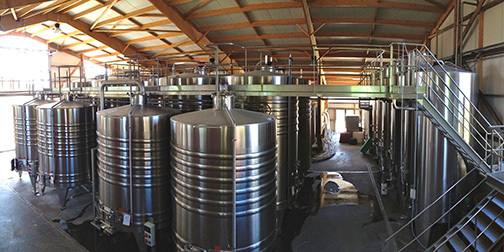 When Chiroulet wines were first imported into the United States in the mid-1990s, production stood at about 80,000 bottles a year and one of their fermentation tanks was a container used to transport liquids. Since that time, a new modern winery has been built, as well as a new chai and preparation area. Still, Chiroulet very much remains a family affair, with Michel and Arlette still very involved with day to day activities and their daughter Sabine part of the domaine's distribution circuit. The domaine's top white blend is made with 50% Gros Manseng, 40% Sauvignon Blanc and 10% Ugni Blanc from old vines. It is aged in tank for 8 months with lees stirring to provide additional richness. Tasting Notes: The nose explodes with Sauvignon Blanc-like notes, including lime, a touch of melon and citrus fruits. Medium-bodied on the palate, this wine finishes dry and clean. Named after the parish where the domaine is located. Made with 100% Gros Manseng from parcels along the mid-slopes that contain veins of brown clay. This wine is aged in large foudre on its lees for about a year. The additional ripeness from the Gascon sun allows for less acidity than Jurançon, something that really allows the fruit of this wine to sing. Tasting Notes: Honeydew melon, white peach and orange skin glide along its full body, buttressed by well-integrated acidity. This wine is very expressive yet also quite versatile at the table. style—not the case with most wines from Southwest France. cherry, raspberry and spice, finishing with well-integrated tannins. A good choice to have with hearty leftovers. Floc de Gascogne is most readily drunk as an apéritif, like Lillet, Dubonnet or its counterpart Pineau des Charentes. However, it's also delicious when poured in a fresh melon half, or even to accompany foie gras. Tasting Notes: The white version, made with Gros Manseng, Ugni Blanc, Colombard and Sauvignon Blanc must, combines notes of freshly squeezed grapes with white fruit and armagnac. Made with the oldest red vines on the property, this wine combines 60% Merlot with 40% Tannat. Raised in a variety of mostly new Seguin Moreau oak. Tasting Notes: Notes of blackcurrant, blackberry, licorice, coffee, vanilla and mocha. Full-bodied and with good structure, this wine could be confused with a high quality wine from the Médoc, St. Estèphe perhaps. Made with grapes from clay and limestone parcels that face the Pyrénées. Made from 50% Merlot (for flesh), 30% Cabernet Franc (for aroma and freshness) and 20% Tannat (for structure and regional typicity) and aged in quality oak (normally 2nd-, 3rd- and 4th-use barrels). Tasting Notes: Well-bred, showing concentrated cherry, currant, licorice and coffee nuances, a lush texture, and well-structured, persuasive finish.